This near-new modern family home with that unique 'Waiheke holiday home feel' is nestled up in the hills of Crescent Valley, with views of the Inner Hauraki Gulf and surrounding native bush. Featuring 4 double bedrooms, master with ensuite and a separate family bathroom. Entertainers kitchen with an open plan living space which flows out onto a rear deck with BBQ and furnished front covered deck with outdoor speakers gives that perfect indoor-outdoor living space regardless of weather conditions. Lawned and landscaped areas surrounded by native bush and gardens. Our spa pool area is set in the bush with a view of the stars at night. Close to Palm Beach (15 mins via a walking track, 3 mins by car), Onetangi Beach and the supermarket. Located up a no-exit road this property is property is peaceful and relaxing with few visible neighbours or noise. Excellent off street parking for up to 4 cars. Including the use of our island car 'Smokey' subject to agreed conditions. Ideal for larger families or groups with all the modern conveniences, 3 flat screen TV's, PS3, Wii, iMac, Wifi, DVD, Wifi Stereo, Heat Pump (AC), tennis rackets, golf clubs, fishing rods plus use of a sea kayak, surfboards and boogie boards. 7 nights minimum booking over Christmas New Year (Dec 22 - Jan 4). toilet, combination tub/shower, Shower over full size bathtub. Linens are provided at an extra charge. A stove top and plunger coffee maker. Chef's kitchen with a 900mm oven and gas hob. Bluetooth receiver and speakers inside and outdoors. Toys for toddlers to teens. Two decks. North deck has a outdoor table with up to 6 seats. The south deck has an outdoor lounge suite and is enclosed with clears. The house was perfect for our group of 8, plenty of space. Amanda was fantastic to deal with and the use of the car was so handy! I love Waiheke! We had the pleasure to stay for a beautiful weekend. The house is spacious and has plenty room. The beds are very comfortable , two bathrooms , and plenty towels if needed. The open plan living makes it nice to sit together! You get the car on request either at the ferry or at the house ! Communication was easy , fast , straightforward. If u like it quiet, wanna spoil yourself with a spa , then this is the right place to go! We wish every else a beautiful stay as we had! Thank you again Amanda ! Thanks so much! We loved having you to stay. Kind regards, Amanda. Beautiful place on the island! The place was amazing, clean, had all the essentials and having access to a car on the island was a huge help while we ran around helping get things ready for a wedding. Was also great being able to use it to pop down to the grocery store which was nearby. Thanks so much for your review. We would welcome you guys back anytime! 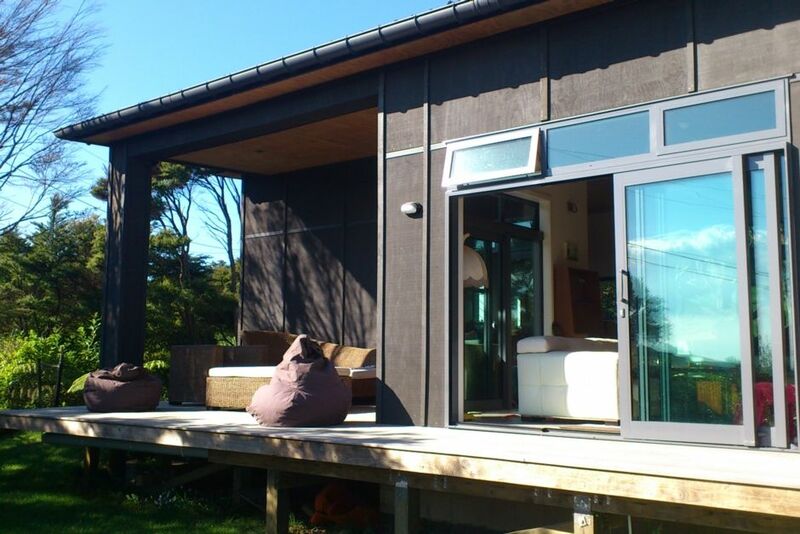 We had a lovely stay at this house, set amongst trees, with views out towards Auckland. It is well set out and accommodated 2 families (4 adults/4 children) very well. There is a lovely covered deck with seating which we used lots as the weather was great. Stunning property, great location, awesome hosts - car was an epic bonus! Thanks so much! We loved having you guys to stay! Cheers Amanda and Karl. Great location and view back toward the city and of course the spa is fantastic!